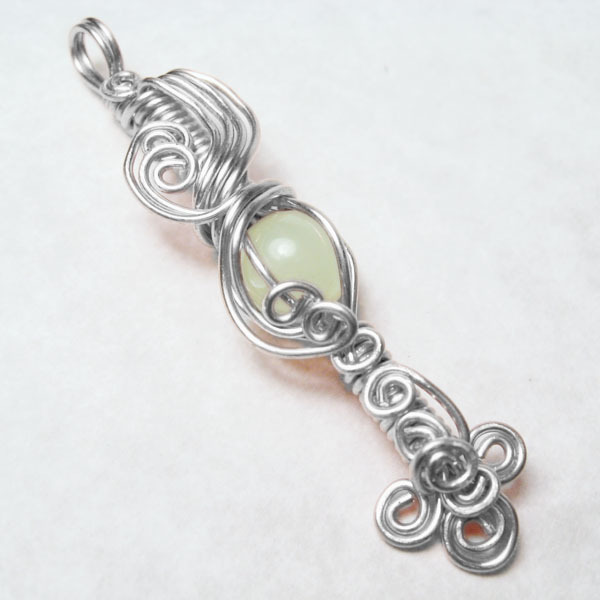 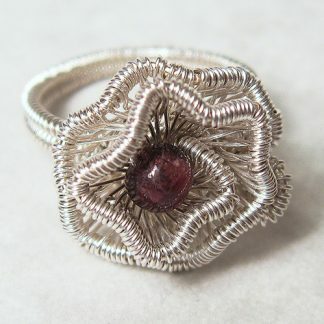 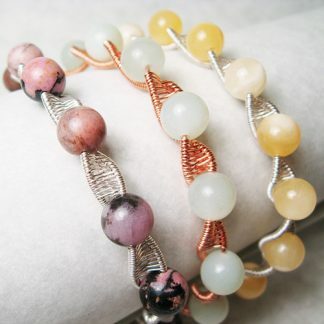 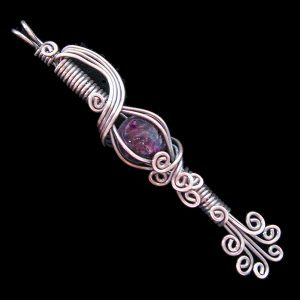 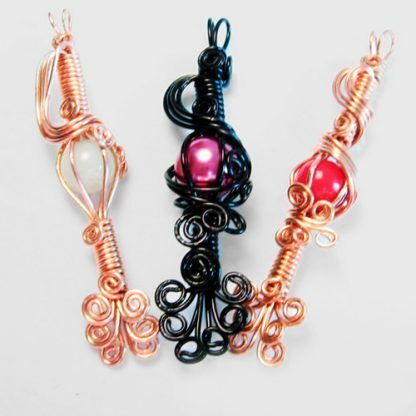 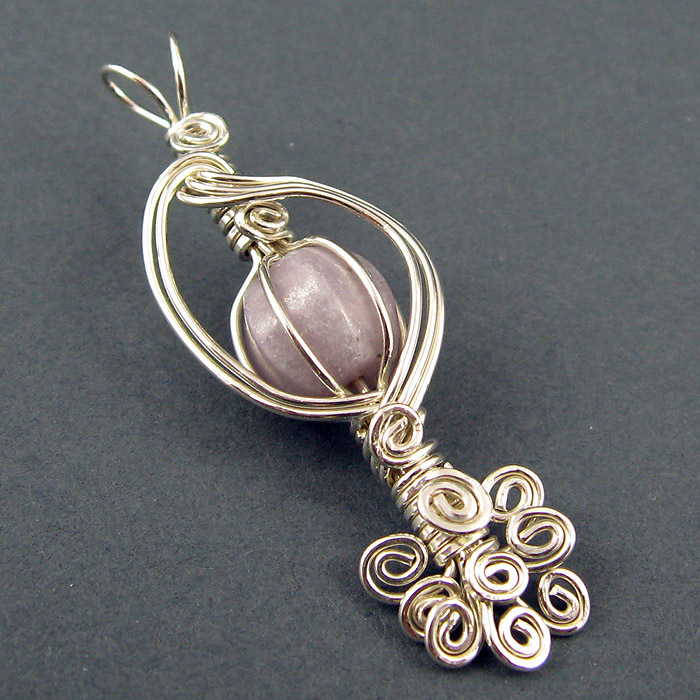 This tutorial teaches you how to put a bead (or small tumbled stone) in a wire wrapped cage pendant that is accented by a whirlwind of swirls and flourishes. 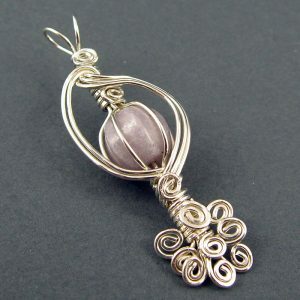 This pendant works well with round beads. 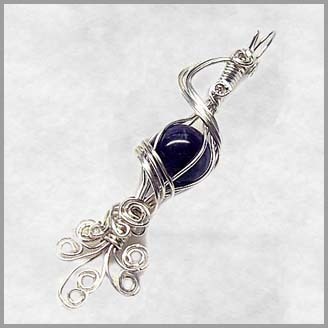 It is also an excellent way to cage irregularly shaped tumbled stones that have not been drilled. 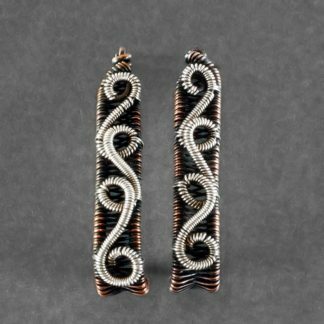 * 4 1/4 feet 20 gauge wire.